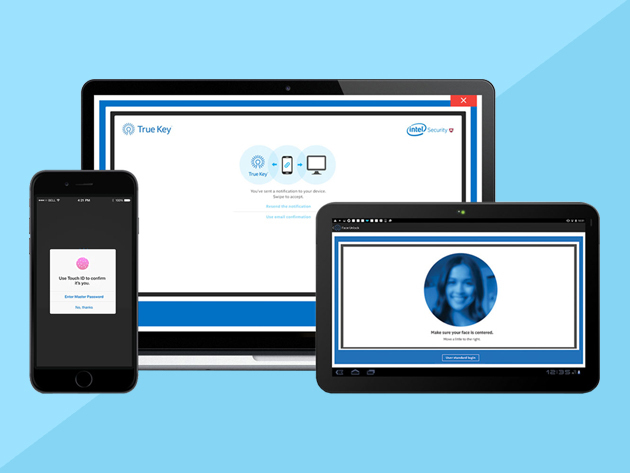 Intel Security’s True Key technology allows you to login to websites without needing to remember or organize passwords. All you need is your face, fingerprint or devices you’ve approved to access apps and websites. Right now, our Deals Store is offering huge sales on premium licenses for this award-winning service, with the 3-year plan available for 56% off at $25.99 USD. The 5-year plan is 53% off, while a one-year license is 20% off. Don’t risk using the same password over and over as that compromises your privacy and data. True Key supports iOS, Android, Mac, Windows and more. Click here to jump on the True Key deal while it’s still available.